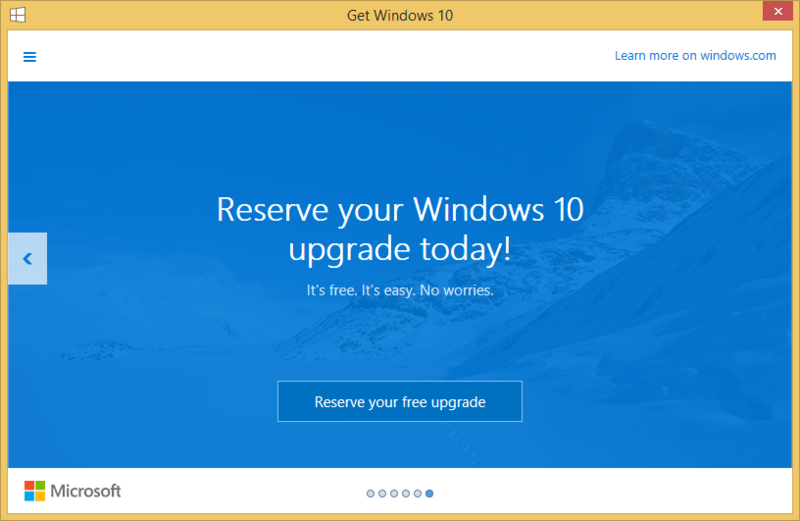 Microsoft has started to notify eligible Windows 7, Windows 8 and Windows 8.1 systems about the free upgrade offer to Windows 10, and accept reservation of the free upgrade for automatic download once Windows 10 is available. 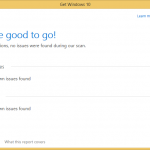 Thanks to a recommended update KB3035583 which was released on early April, upon starting or rebooting your PC on May 31st, 2015, a new icon appears in the system tray (notification area) which when hovered the mouse over, is showing “Get Windows 10”. 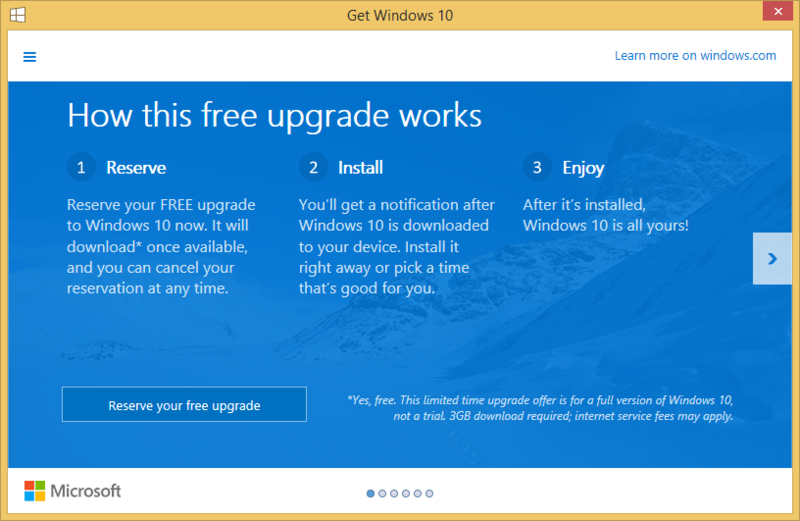 In addition, a “Get Windows 10” notification window is also popping up, explaining how the free upgrade works, checking for system and apps compatibility with Windows 10, allowing users to reserve the free upgrade to Windows 10 and showing off the features of Windows 10, as well as verifying the genuine status of current Windows OS. 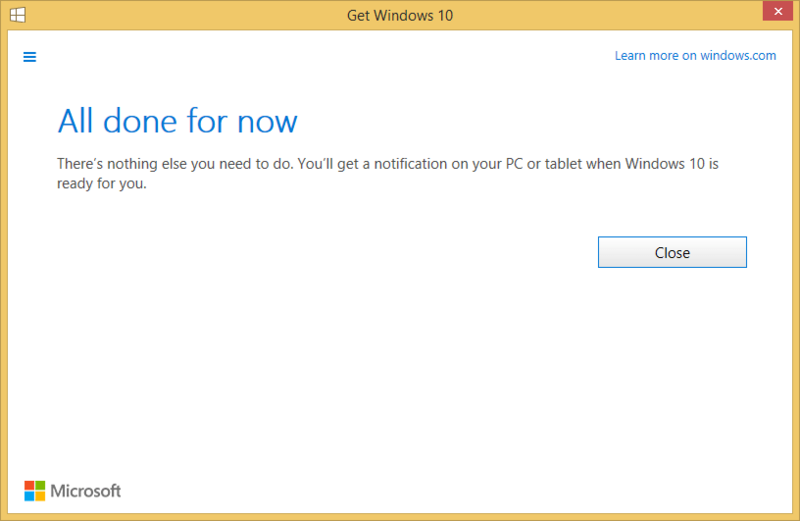 If you click or right click on the “Get Windows 10” icon in notification area, you’re presented with several options, including “Get Windows 10” which opens the above window, “Check your upgrade status”, “Go to Windows Update”, and “Get to know Windows 10”. 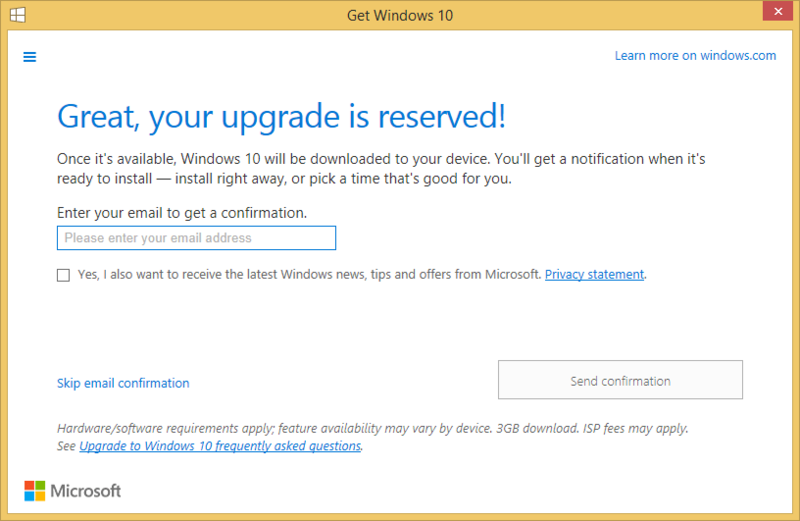 The registration to reserve the free upgrade in the “Get Windows 10” app asks for an optional email address. 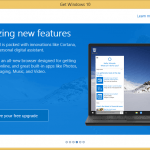 In fact, the “reservation” should be just an consent for the download of Windows 10 to be done automatically. 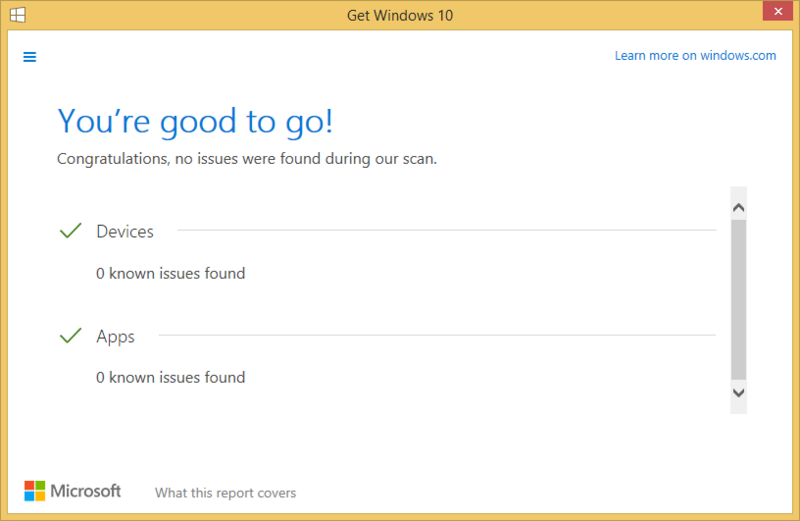 Through KB3035583 update, a file named GWXUXWorker.EXE will download Windows 10. 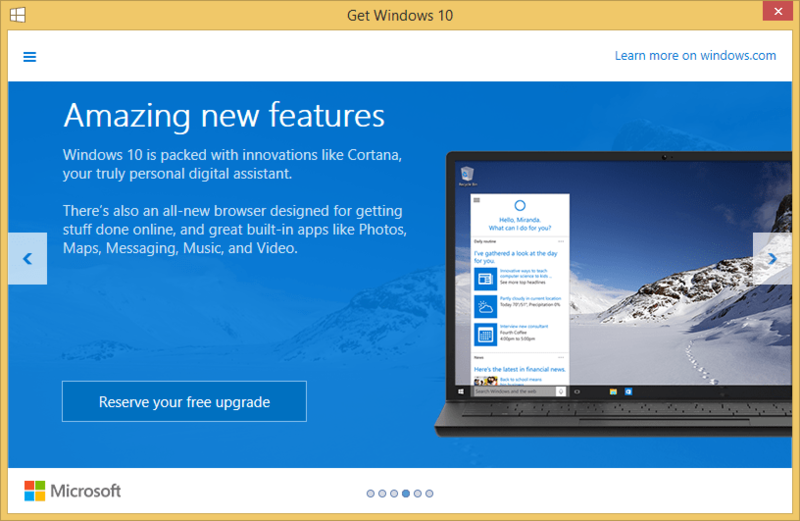 Once you registered and reserved, you will be notified after Windows 10 was successfully downloaded to your device, and you only have to click to install. 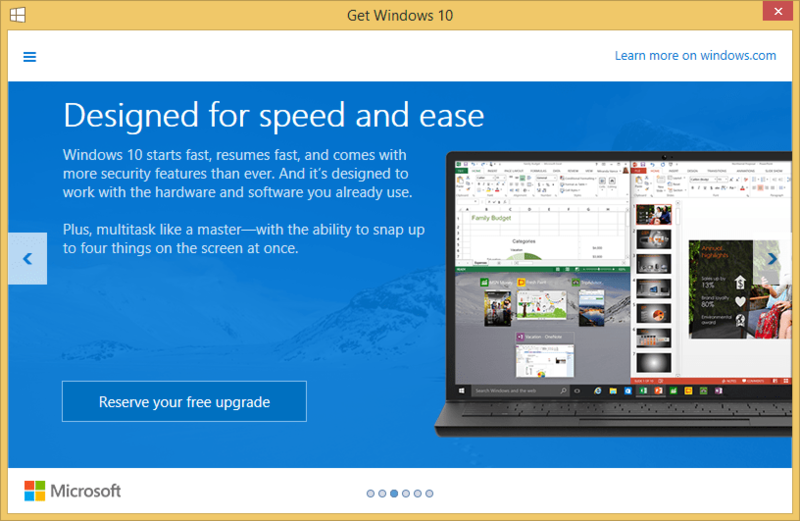 Once reserved, Windows Update will display prominently that the system is pending upgrade to Windows 10. 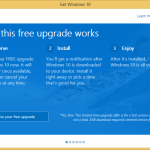 In addition, the reservation of free Windows 10 upgrade is also offered during the initial setup process when upgrading to Windows 8.1, when when clean installing Windows 8.1 with November Update roll-up and are connected to the Internet. 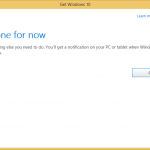 You can disable the Windows 10 upgrade notification if you feel that it’s just an adware and an advertising method. You can also cancel the reservation after reserved. 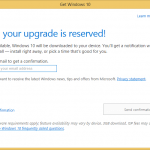 You are able to upgrade to Windows 10 even if you don’t reserve it, according to the FAQ. 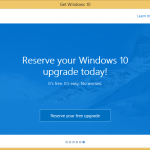 If you have upgraded your system to Windows 10 Insider Preview, the system will be automatically upgraded to final RTM release of Windows 10. 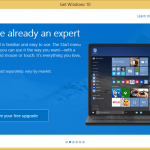 Windows Update is turned off or is not set to receive updates automatically (specifically KB3035583). You’ve blocked or uninstalled the necessary Windows Update functionality (specifically KB3035583). 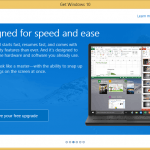 Your device does not meet the base system requirements of Windows 10. Your computer is joined to a domain (workaround is to temporarily unjoin from the domain). You’re running enterprise edition of Windows. 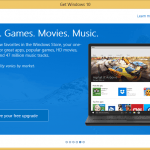 Windows 10 is expected to be released this summer, which widely believed to be in July. 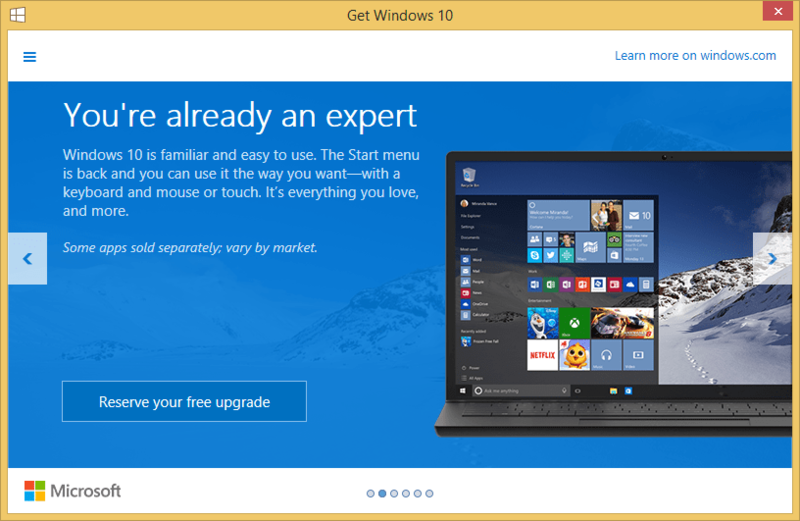 Update 2: Windows Update starts to prompt to upgrade to Windows 10. 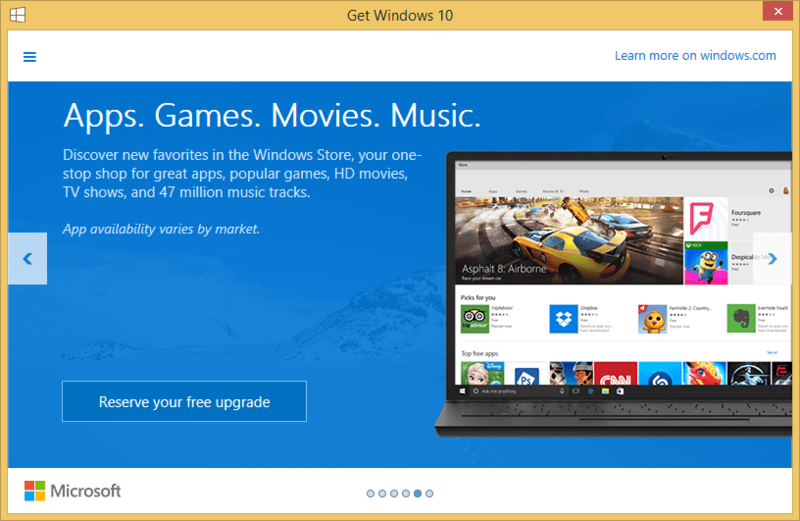 Update 1: GWX has started to download Windows 10 installation files to $Windows.~BT hidden folder.